Not all rounds of by-elections serve up surprises like Nquthu. 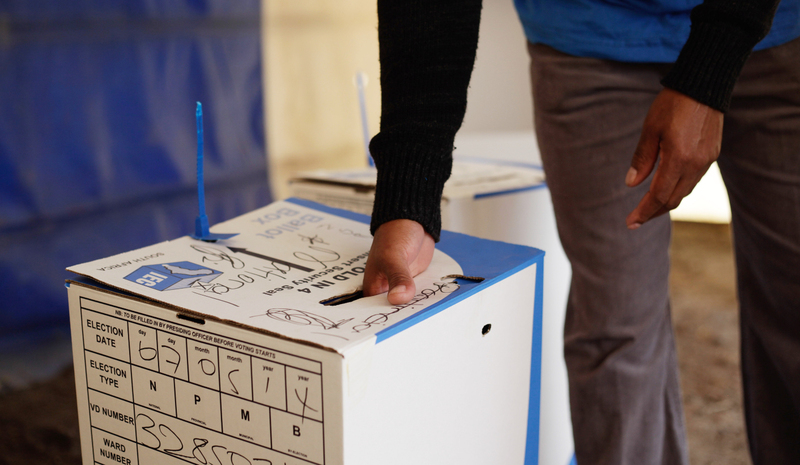 June 14 saw the ANC comfortably defend two safe wards in Mbombela and Mnquma, and hold on to the marginal Ward 7 in uPhongolo, while the DA retained its safe seat in Sol Plaatje. By WAYNE SUSSMAN. All eyes were on uPhongolo, where the IFP was hoping for its KwaZulu-Natal momentum to continue by taking Ward 7 from the ANC and taking over the municipality with the support of smaller opposition parties and an independent ward councillor. uPhongolo ended up being less about the ANC and the IFP, and more about the third placed NFP. The NFP received a drubbing in Nquthu but had a credible showing in uPhongolo eating into the ANC’s percentage share of the vote, and to some extent, the IFP’s. Voters had to elect a new councillor for Ward 7 after the previous councillor Mbhekiseni “Pat” Khumalo was assassinated outside his home. This ward lies above the town of Pongola near the Swaziland border. The ANC had to retain this ward to retain its outright control of the municipality. Had it lost the ward, the ANC would have needed to turn to an independent councillor to keep control of uPhongolo. The by-election was originally set for late March but had to be postponed because of ANC objections on the grounds of there being discrepancies in the voters roll. The ANC had a narrow win last night, winning by less than a hundred votes. The NFP had a credible showing here, after missing the local government elections in 2016, picking up 19% of the vote (370). It seems like many of their supporters voted for the ANC in 2016, and returned home to the NFP in Wednesday poll. The ANC received 42% (840 votes), down from the 56% they got in 2016, while the IFP got 37% of the vote (743 votes), slightly down from the 39% they got in 2016. Despite the narrow margin of victory, the ANC will be delighted by this victory. They were able to stem the IFP’s northern KZN momentum and avoid having to do deals with an independent. The ANC had a comfortable hold in this rural Eastern Cape ward near Butterworth. This ward has a staggering 16 voting districts in it. Despite the very high number of voting districts, the results were pretty uniform. The ANC won 94% of the vote, picking up 1719 votes. In 2016 they picked up 80% of the vote. An impressive increase in their share of the vote. The EFF received 4% of the vote, picking up 68 votes, and the UDM tallied 38 votes (2%). Both parties doubled their percentage share of the votes. I don’t think they will be bragging much, and I don’t think the ANC will mind them doing so. Any parties dreaming of removing the ANC from power in 2019 need to come to this part of the Eastern Cape and speak to the residents who live between the Tsomo River and Butterworth. If you want to understand what defines ANC heartland, this is it. Turn-out in this by-election was 49%. The ANC only had to fend off the EFF in this by-election. In the last two party contested Mpumalanga by-election, the EFF gave the ANC a real scare, but that was much closer to the Gauteng border. Emjindini township near Barberton is much tougher territory for the EFF, and much more fertile terrain for the ANC. The ANC got 88% of the vote, receiving 2,099 votes. This was up from the 82% percentage share of the vote, they received in 2016. The EFF accumulated 12% of the vote, picking up 274 votes. Turn-out was a relatively low 37%. This was a convincing win for the ANC. Both the DA and the FF+ would have watched this ward to see if there were traces of disgruntled verkrampte DA voters. They were hard to find in Hadison Park yesterday. The DA had an easy hold and an increased percentage share of the vote. The DA received 88% of the vote with 1533 votes, this was up from the 83% they received in 2016. The VF+ leap frogged the ANC into second place with 6% of the vote (111), marginally up from the 5% they received in 2016, while the ANC had 5% share of the vote (83), down from the 9% they got in 2016. The ANC will be delighted by their convincing wins in Mnquma and Mbombela. They will be happy to have retained outright control of uPhongolo, but will worry that a trend could develop which could see NFP voters who voted ANC in 2016 drifting back to the NFP.